Recently, GN finished the factory delivery inspection of one set 1000 GPM mud recycling system that will be used in India for big trenchless project. In end of April, GN just shipped out 3 sets 600 GPM mud system to an Asian client who has already had 3 sets mud recycling system from GN. 1. Two units of GN double deck shale shaker GNZS706F for primary solid removing. Double deck shaker is with large capacity due to two-layer screen design for both coarse solids and fine solids separation. 2. De-sander unit GNZS703F-2S is with two sets 10 inch cyclone for sand removing. De-silter unit GNZS703F-12N is with 12 sets 10 inch cyclone for silt removing. The under flow shaker is with same dimension shaker screen for client’s easy shaker screen procurement or inventory. 3. Three sets 40 feet containers are used respectively as mud recycling tank, mud storage tank and mud mixing tank. Other equipment like centrifugal pump, agitator, and mixing hopper are installed on tank and shipped without disassembling them. With nearly 10 years’ experience in design and manufacturing the trenchless mud recycling system, and sufficient feedback from clients’ onsite application. GN has improved GN compact mud system with stable performance and optimized design. 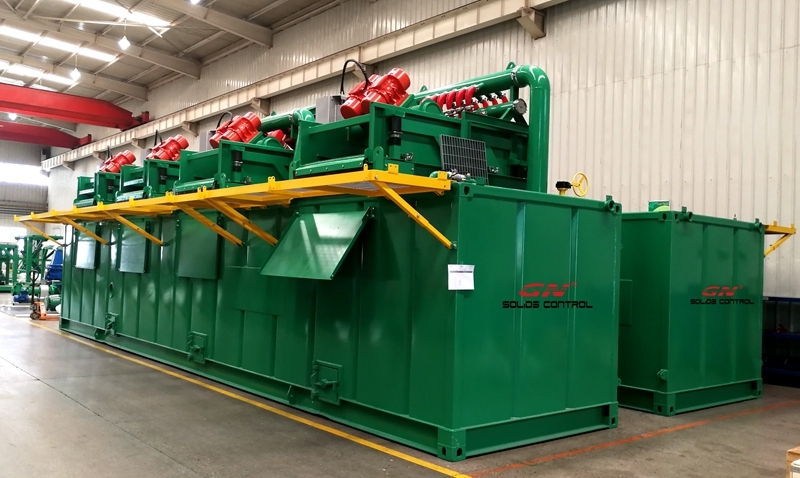 All equipment in the mud recycling system are with advantages in increasing the working efficiency and improving the treating result. 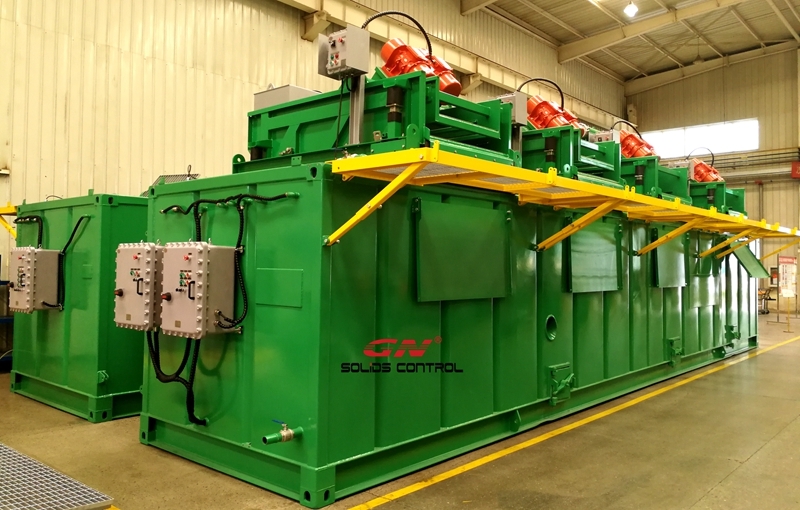 GN is able to provide the mud recycling system used in trenchless project with compact design but self-contained. Other mud system design with plenty of mud tanks for large volume mud storage in oil drilling site, and some economic mud de-sanding unit in small drilling project like water well drilling and piling.